Thank you for your interest in our 12-month group coaching program for novelists, novella, short story, and other fiction writers. We're passionate about helping you with the step-by-step guidance you need to write, publish, or market your stories. -- Have written at least one manuscript, even a messy first draft, or are almost done with one; the program is too advanced if you haven’t written a book yet. -- Write genre fiction (romance, mystery, thriller, suspense, adventure, fantasy, science fiction, or a combo of these); we’re writing popular fiction with the intent for a wide appeal. -- Are ready to start thinking about publishing (either self-publishing or traditional publishing) and marketing your book and yourself as an author (even though the thought of marketing is super scary); if you’re not ready to be at least educated about the business of being a novelist, then maybe this program isn’t for you. -- Want a successful writing career as a genre fiction novelist. We know this is a long-haul endeavor and are here to support you every step of the way. 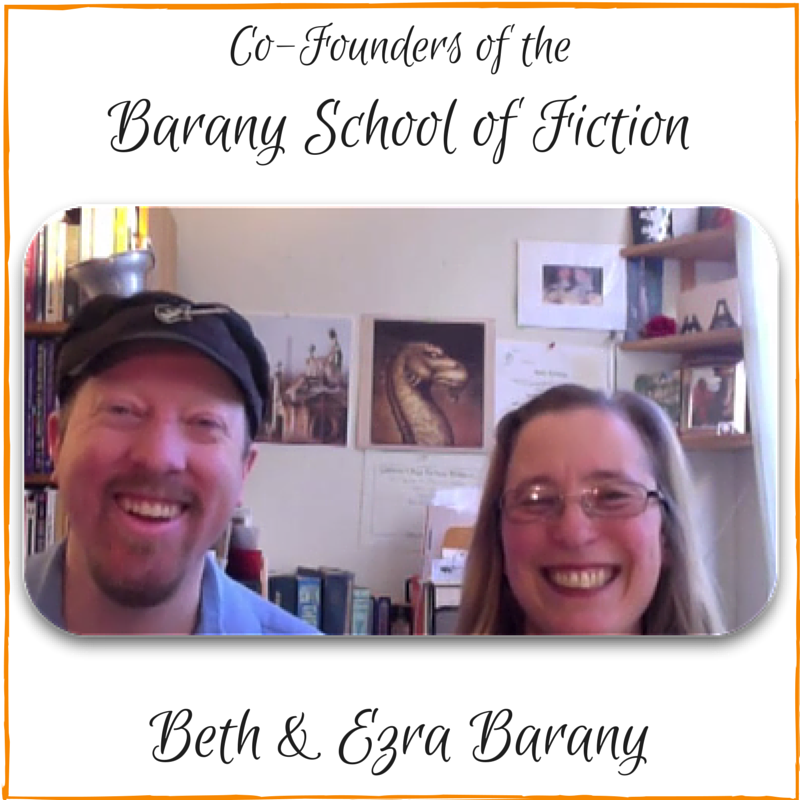 WHO WE ARE: This program is run by Beth Barany, Creativity Coach for Writers, keynote speaker, master teacher, and novelist, with the assistance of her husband, Ezra Barany, award-winning thriller author. We're both experienced novelists who are also professional teachers, coaches, and mentors, with over 20 books collectively under our belt. We bring that knowledge, experience, and enthusiasm to you in this program for dedicated fiction writers. WHAT WE DO: We specialize in giving you discerning, individualized support in a group setting that supports your goals, plans, intentions, and progress. Our writers have gone on to publish their novels and market them successfully. HOW WE SUPPORT YOU: We offer 3 group calls per month, plus an online intimate group that we run on Facebook. On the calls in the group, you'll get direct feedback on your questions from Beth and Ezra. WANT MORE SUPPORT? We also offer ONE-ON-ONE SUPPORT. We offer 3 upgrade levels for more one-on-one support, including coaching calls with Beth Barany where she will read and edit your manuscript. Once you check out this free introduction, and want more information about how this group can support you, including the one-on-one levels, you'll find all the details and how to register here: http://coaching.bethbarany.com/. -- A Sample Coaching/Teaching Call, which is just under 90 minutes. You'll see the video we offer, with the audio, chat text, and slides. Group members can download these replays, so they can enjoy them at their leisure. Get a taste of our Group Coaching Program for Genre Novelists.